Apple may have owned Christmas, but Samsung won the year when it came to satisfying shoppers with its phones. The latest stats from the American Consumer Satisfaction Index, which surveys 70,000 consumers every year, show Samsung slightly beating out Apple by two points with a satisfaction score of 81. Sure, it's not a huge lead, but it's a big jump for the company from last year's score of 76. Apple, meanwhile, saw its score fall more than two points since last year. It's always tough to read much into these numbers (was it the Galaxy S5 that helped, or just Android improvements? ), but it's still a decent win for Samsung. Don't be surprised if Samsung ends up marketing the heck out of this during the Super Bowl. It's not as if we didn't see this coming, either. Samsung also trounced Apple in smartphone consumer satisfaction in the middle of last year (before the release of the iPhone 5s). ACSI's overall satisfaction stats for 2013 still showed Apple leading Samsung by five points, but the two were neck and neck for much of the year. J.D. Power's satisfaction survey for 2014 ranked Apple as the leading smartphone brand for all major carriers, but even then, Samsung wasn't far behind. So what does all of this really mean? Some shoppers might not have been happy with Apple's move into the big-phone arena with the iPhone 6 and 6 Plus. For buyers who were used to the svelte iPhone 5 and 5s, Apple's new devices might have been tough to get used to. 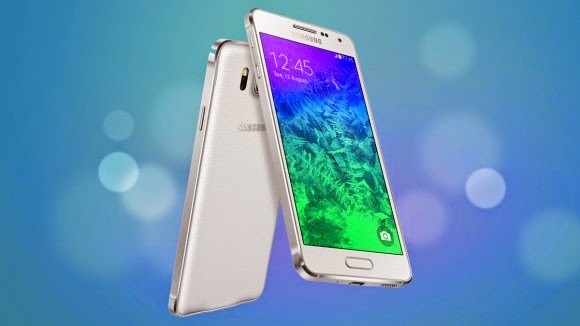 Samsung, meanwhile, delivered its most feature-rich entry yet with the Galaxy S5. Its water-resistant case was ideal for the accident-prone, and it offered one of the first great cameras on an Android device. The battle for our affection from both companies will only be a good thing for consumers. It'll make them both focus on delivering devices that are actually useful, rather than just meaningless spec upgrades.